The third quarter survey was conducted during the month ending September 6, a period characterised by renewed disillusionment about the broad policy direction the country is taking. Further dampening the mood were fears of an acceleration in inflation and possibly higher interest rates to boot, as a Turkish-driven sell-off in emerging markets saw the rand weakening sharply to more than R15 against the US dollar. The survey covered 1,700 business people in the five sectors making up the RMB/BER BCI, namely manufacturing, wholesale, retail, new vehicle trade and building and construction. Manufacturers’ confidence dropped from 27 to 21 as activity continued to contract. A further significant weakening of domestic sales volumes on top of relatively poor export sales volumes dampened production. After advancing by nine points to 62 in the second quarter, wholesalers’ confidence retreated by 13 points to 49. The sales performance mirrors this ebb and flow in sentiment. Of all the sectors surveyed, wholesale trade is still the one with the highest confidence level – albeit now also in net negative terrain. Retailers’ confidence remained low at 33. Although sales volumes recovered somewhat, growth in turnover failed to improve as selling prices hardly budged, a sharp rand related increase in purchasing prices notwithstanding. Narrow and/or narrowing pricing margins continue to severely hurt retailers’ financial performance. 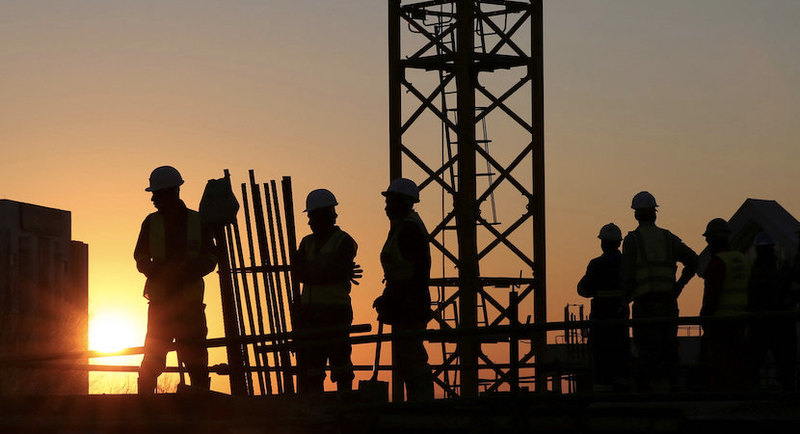 Motor trade and building contractors were the only two sectors which saw confidence increase in the third quarter. As for new vehicle dealers, sentiment improved from 35 to a still disappointingly low 41, as sales volumes remained under pressure. While building contractors’ confidence rose from 37 to 45, the improvement isn’t representative of the total building industry. Indeed, confidence among sub-contractors dropped noticeably in the third quarter. What’s more, the increase in building contractors’ confidence was solely due to residential contractors. They expect the fourth quarter to repeat its usual seasonal improvement in activity. By contrast, non-residential building confidence (and activity) fell back sharply in the third quarter. Given the historically tight relationship between the RMB/BER BCI and real GDP growth, the renewed downward trend in confidence is disconcerting. On past form, it points to economic growth weakening even further after already slowing from 1.4% year-on-year in the first quarter to 0.5% in the second quarter. “The underlying South African business landscape continues to weaken, with more sectors showing signs of strain. 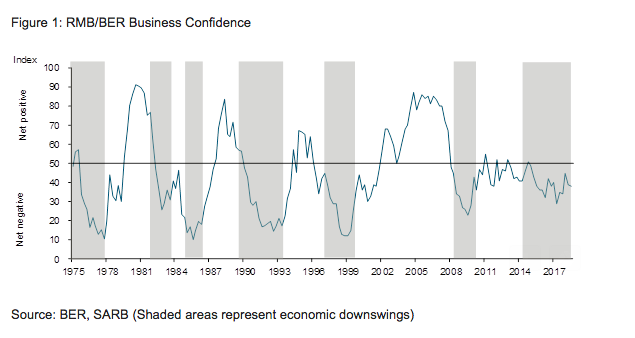 While confidence hasn’t (yet) fallen to the levels observed during the previous (and severe) recession of 2009, we remain deeply concerned about the prospects” said Etienne Le Roux, chief economist at RMB. “It goes without saying, the political and policy factors weighing down on business confidence (such as the government’s land reform plans) must be resolved to produce impetus for an increase in sentiment. This is especially the case now that global headwinds are mounting, domestic public finances are stretched and monetary policy is facing rising inflation risks,” he concludes.